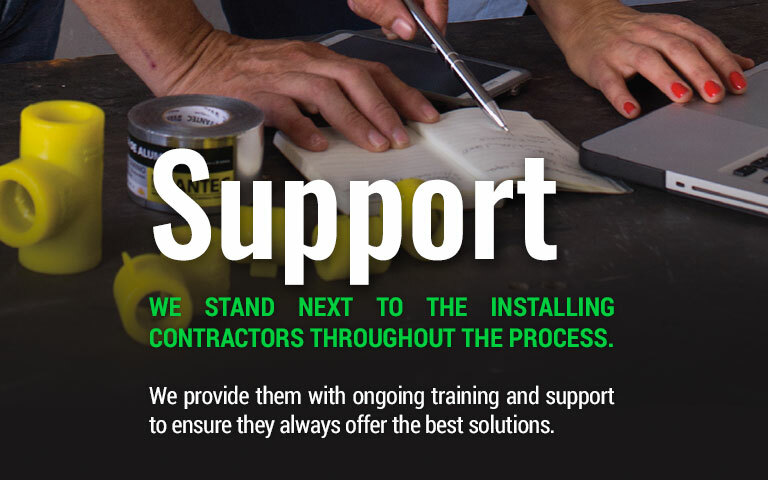 We are IPS, a pioneer company in the thermoplastic industry, which has been offering innovative solutions to builders and professionals all over the world for more than 70 years. 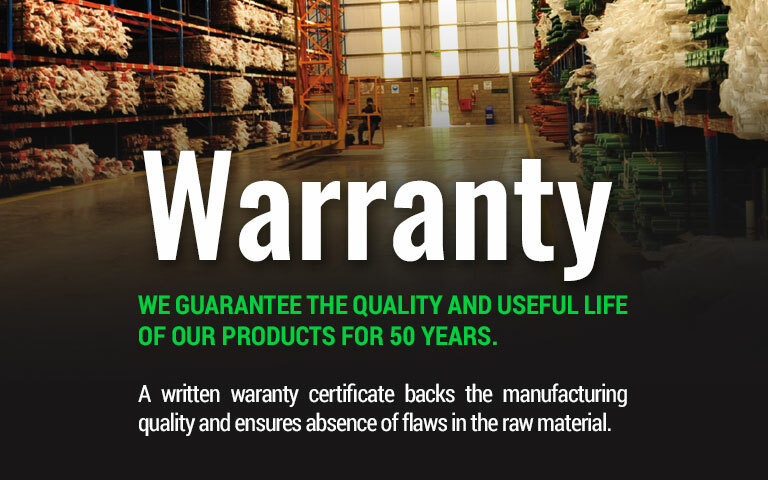 We have 2 industrial plants and a large team of specialists that works daily to design, manufacture, develop and deliver the trust-worthiest products in the market. 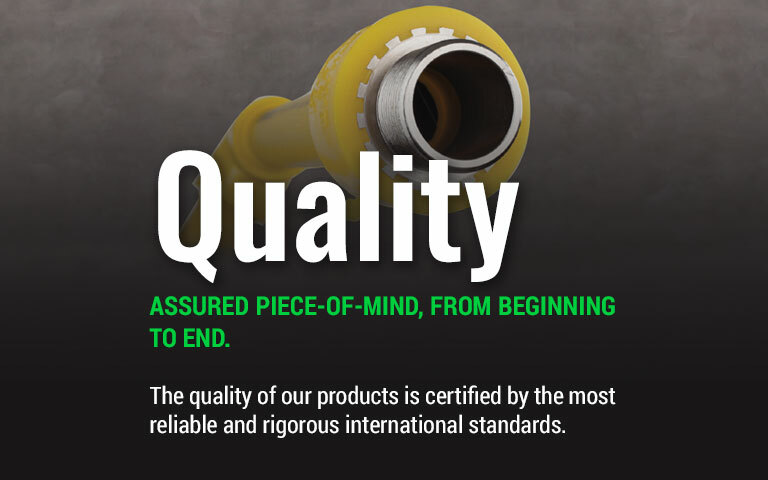 Our experience has made us the number one piping and fitting exporting company in Argentina, reaching to more than 35 countries. 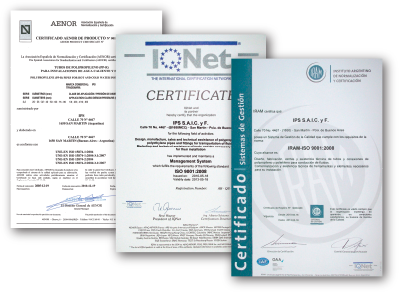 The quality of our products and services has provided us with multiple international certifications, including the ISA9001;2008, provided by IRAM-IQNet, as well as the certifications by AENOR, the Spanish reference in the European Union market. Erwin May develops the first machine for the transformation of thermoplastics. Roberto May spearheads the approval of the German DIN standards in Argentina, before the OSN (National Sanitary Works) entity. The IPS Fusion System product line is incorporated into the company’s catalogue. IPS opens a 4,500 square meter industrial plant in San Martin, Buenos Aires province. The model R. May industrial plant is expanded to 9,000 square meters and the IPS Drainage System is added to the product line. A new warehouse with state of the art technology is incorporated, expanding the industrial plant’s surface area. The plant’s surface area is expanded and the IPS GAS product line for domestic installation layouts is launched. San Martín, Buenos Aires, Argentine. Loma Hermosa, Buenos Aires, Argentine. (Monday to Friday from 8 a.m. to 6:30 p.m.). (Monday to Friday from 9 a.m. to 6 p.m.).